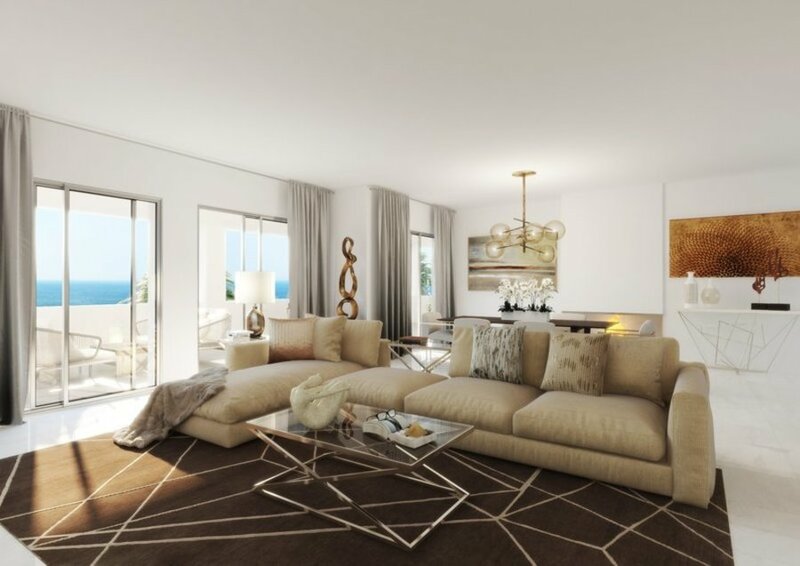 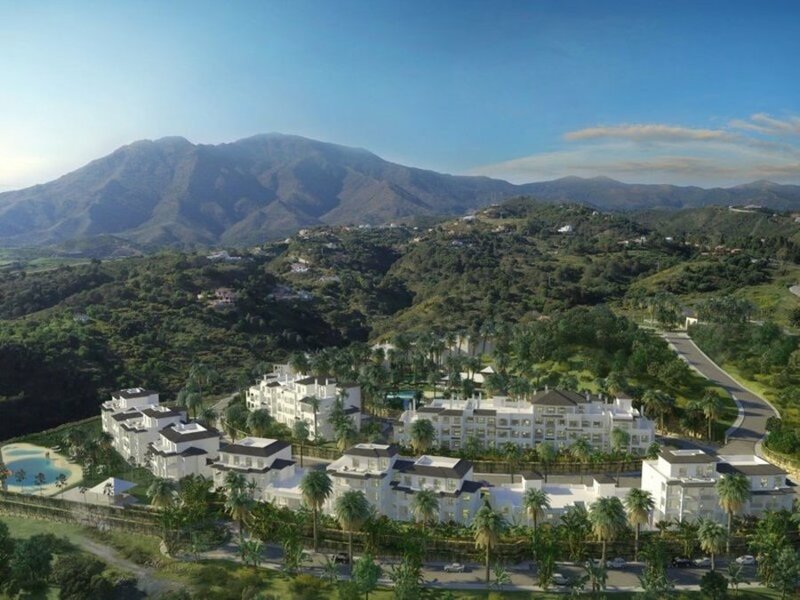 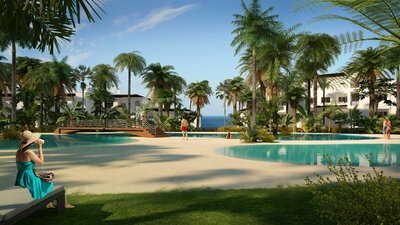 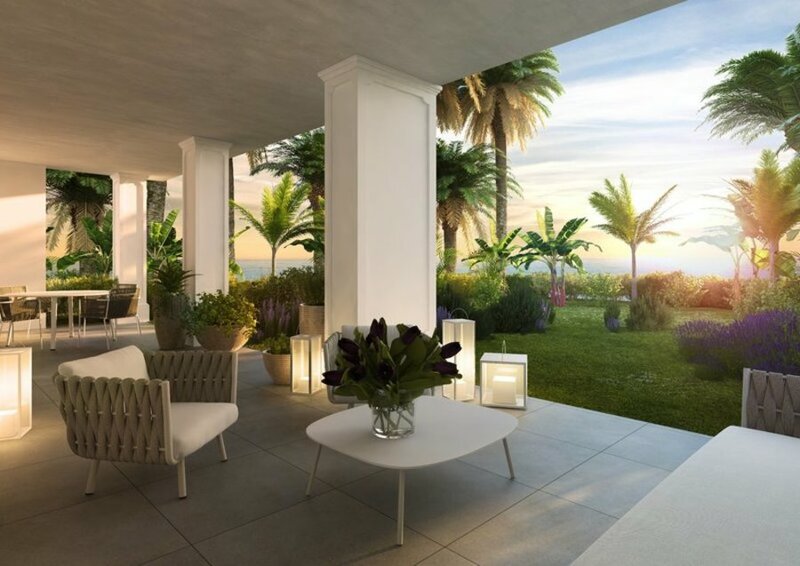 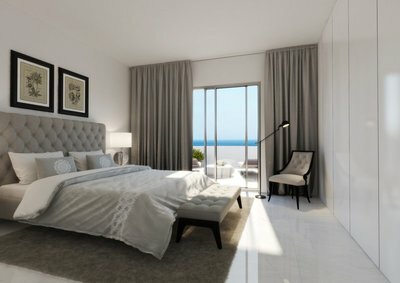 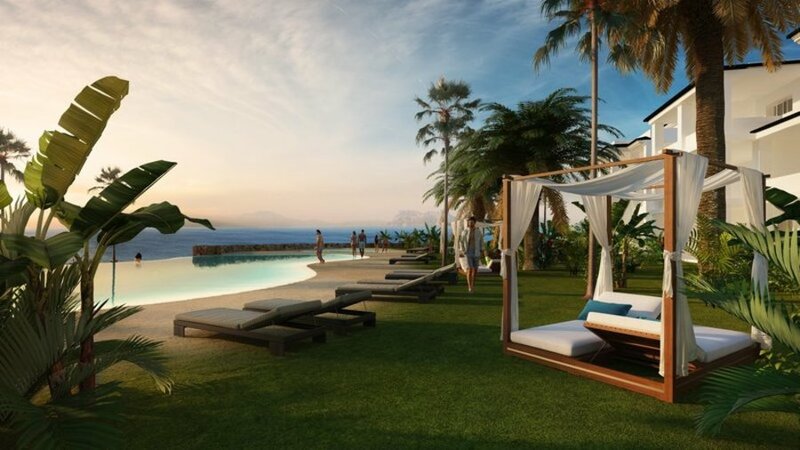 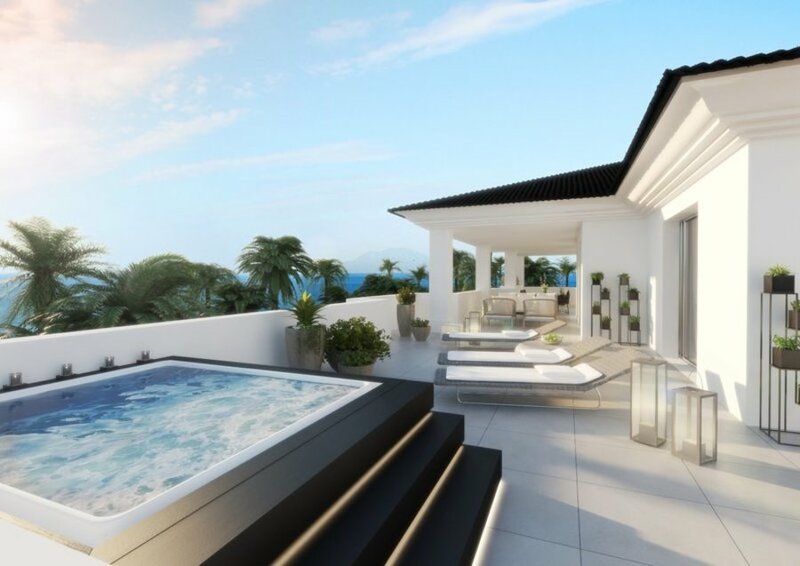 We are pleased to bring to market this stunning development at Mirador De Estepona Hills. Situated just 3 minutes from the centre of Estepona and the beach, Mirador De Estepona enjoys a privileged situation, between Marbella and Sotogrande. 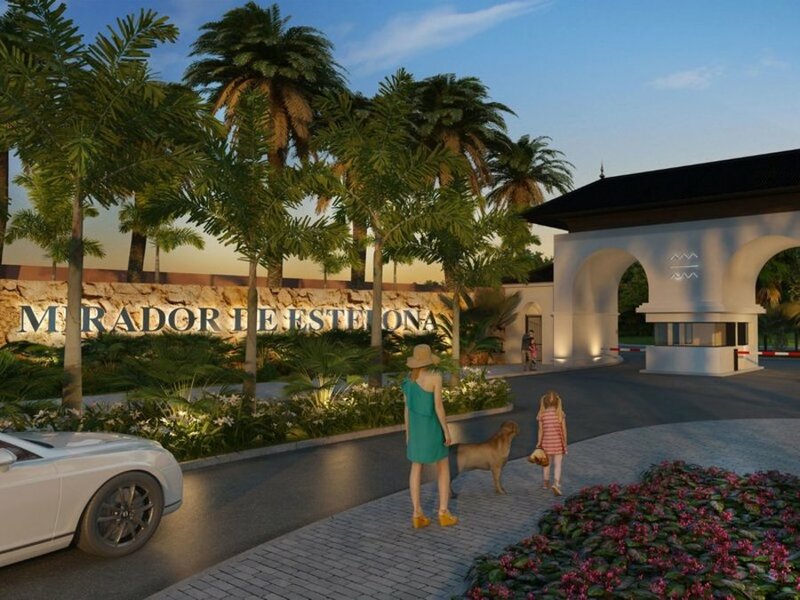 Mirador de Estepona is a privately gated community with 24-hour security services. The community features lush tropical gardens, several outdoor pools (Infinity and beach), a gym, spa, sauna and jacuzzi, several tennis and paddle courts, Beach volleyball, and more. 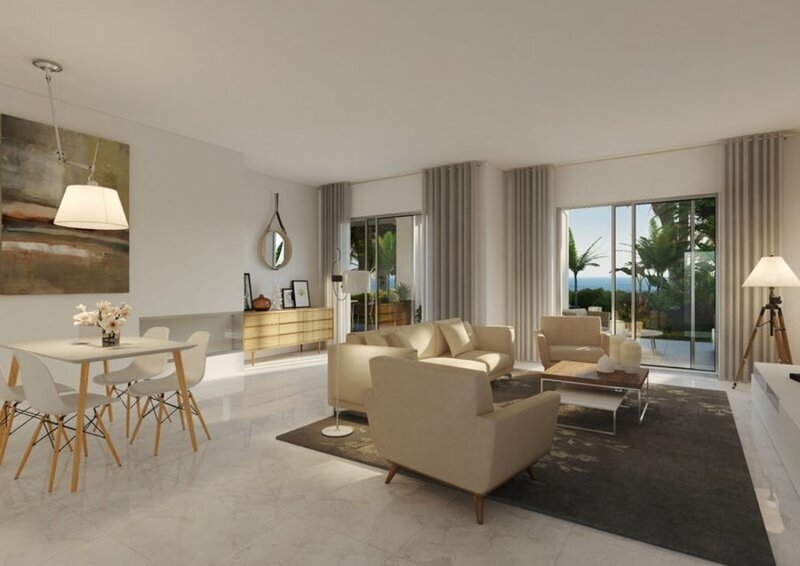 This listing is for a 1st Floor property complete with a spacious and bright open plan living/dining room, with feature fireplace and access to the outside terrace and garden area. 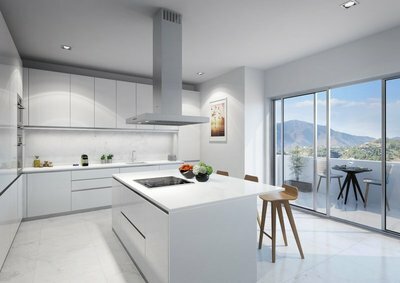 There is a separate modern fully equipped kitchen with high-quality appliances from NEFF, and a separate utility and laundry room. The accommodation comprises of 2 large and spacious double bedrooms, And 2 modern bathrooms. 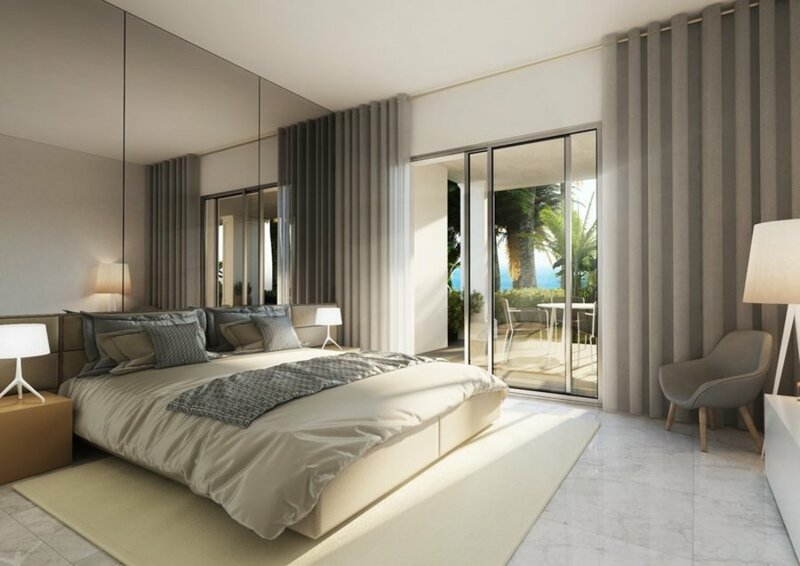 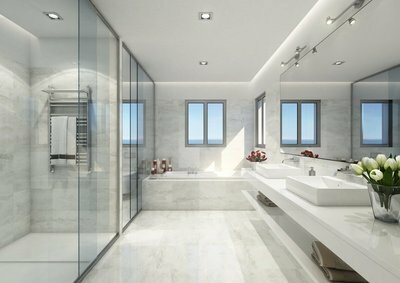 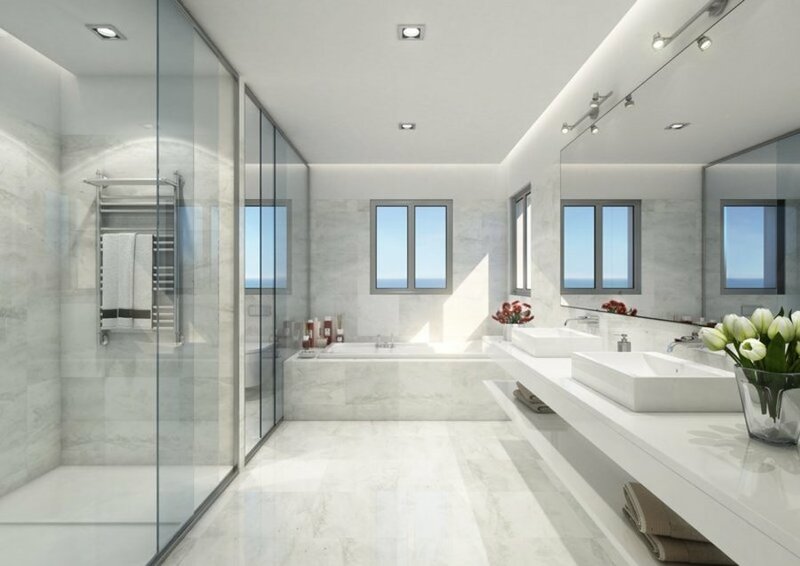 The master suite has fitted wardrobes, an ensuite bathroom, and access to the south-facing main terrace with sea views. 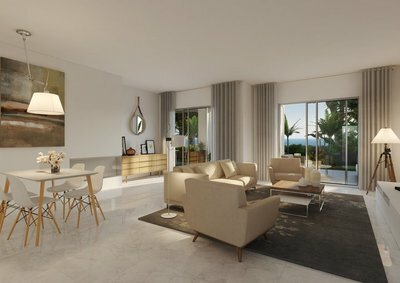 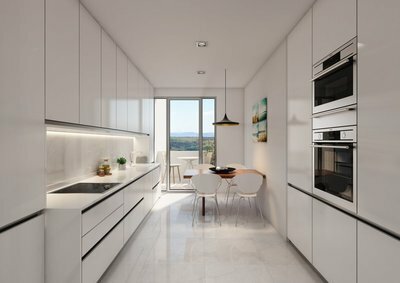 All the apartments here at Mirador De Estepona have access via the elevator to the apartments and also the garage and storage room which comes with each property. 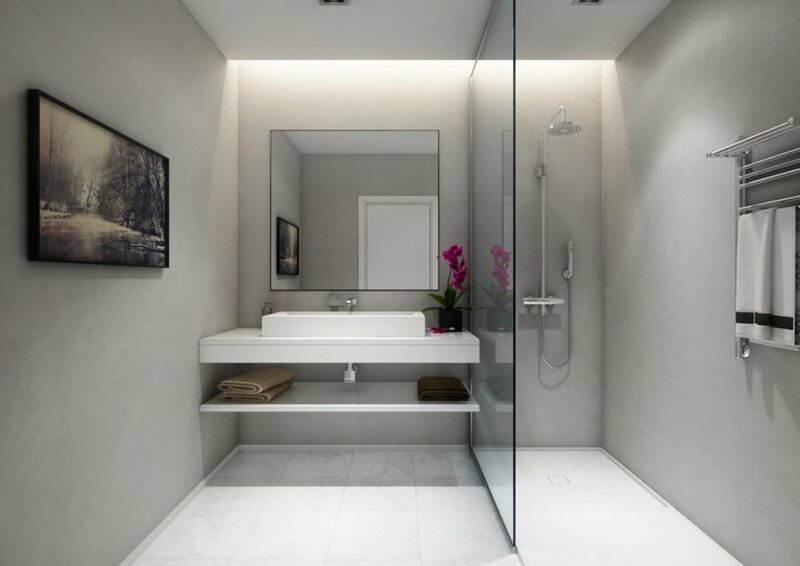 The apartment benefits from excellent qualities of construction, floors in PORCELANOSA, A/C cold and heat, alarm, intelligent house system and 1 parking space.